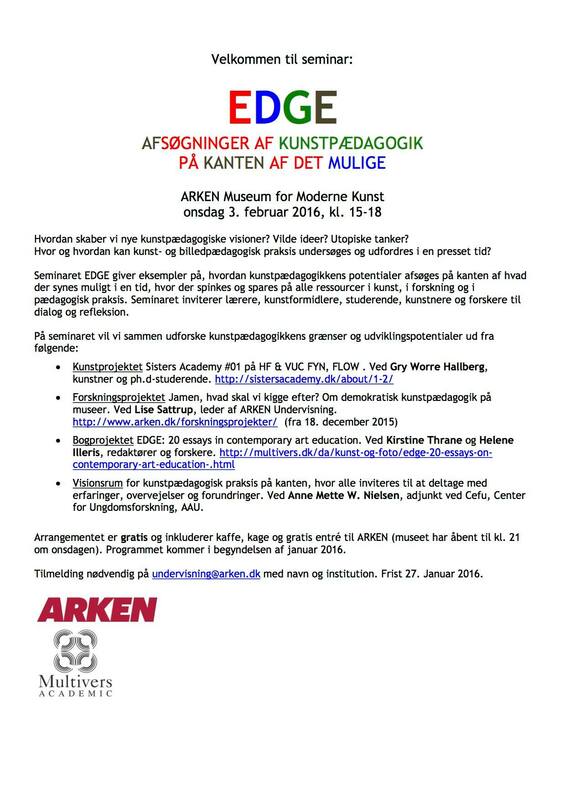 Sisters Hope are happy to have been invited to present Sisters Academy at the art educational seminar The Edge at Arken in collaboration with Multivers – Exploring new art educational processes on the edge of the possible. We’ll be among prominent speakers, givers and makers within the field and look much forward to a day of inspiration. See program here.